I am going to miss John Gruber. 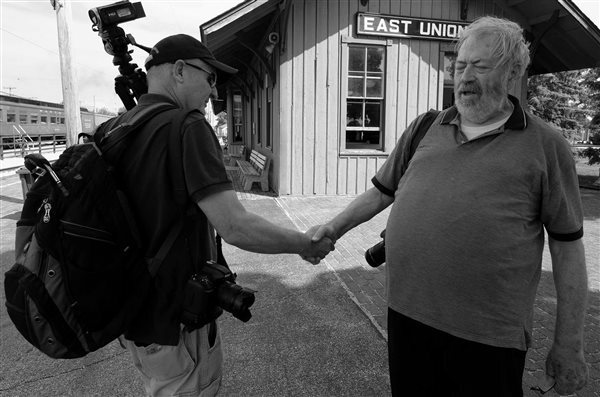 The affable photographer, writer, editor, and found of the Center for Railroad Photograph & Art who passed away Tuesday at age 82 gave me many things. As a kid, he showed me Southern Railway No. 4501 in the pages of Trains and in David P. Morgan’s book about that beloved locomotive. And then he showed me the Rio Grande narrow gauge in its final days. And so much more. As an adult, he gave me a good friend in his son, Rich. We both liked the same things: Steam, preservation, oddball tourist railroads; travel; a cold beer. Also, as an adult, he became my friend. He stayed at my house in North Carolina on his way to photograph Norfolk & Western No. 611’s last run in December 1994. He and Rich joined me on an epic excursion on the Rio Grande narrow gauge in 1998. I teased John by bringing my personal copy of the October 1969 issue of Trains for him to sign. That was the one that was full of his narrow gauge photos. He provided the autograph in the open gondola of a train behind Mudhen No. 463 hellbent for Cumbres Pass. It was fun to see John and Rich stand side-by-side: Rich is definitely a chip off the old block. It’s hard to believe that was 20 years ago. 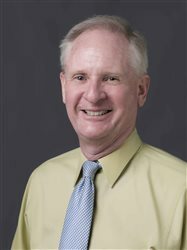 After I came to work at Trains in 2004, John became a valued contributor. In October 2009, John reprised his earlier Rio Grande story when I edited my own narrow gauge special issue, a faint echo to what David P. Morgan had done in 1969. A couple of years ago, he revisited the subject yet again with his oral histories of the last Rio Grande narrow gauge railroaders. John had plenty of good stories to tell. Not long ago, realizing the hoopla about the transcontinental railroad anniversary next May, he proposed a story about the photographers who documented the event and gave us the most indelible railroad image of all time, the champagne photo at Promontory. I couldn’t say no. That story will be published in our special issue, Journey to Promontory, next January. I will miss that about John. He was as curious about railroading as he was about the person behind the camera documenting the ever changing railroad scene. It was curiosity that served him well. John never lost his passion for the subject. When Norfolk Southern hosted its 21st Century Steam excursions, he kept asking me when 4501, the premier engine of Southern’s excursions in the 1960s, would be ready. We were both there in Chattanooga, Tenn., when little sister, No. 630, kicked things off in 2011. He had made it full circle with the SR and NS steam programs. Last August, when columnist Brian Solomon was in town on business, I ran into John and Brian at the Illinois Railway Museum the next day. I spotted them riding a Rock Island coach behind Frisco 2-10-0 No. 1630. They, like friends from back home in North Carolina and me, were enjoying being among the trains just as we always had. 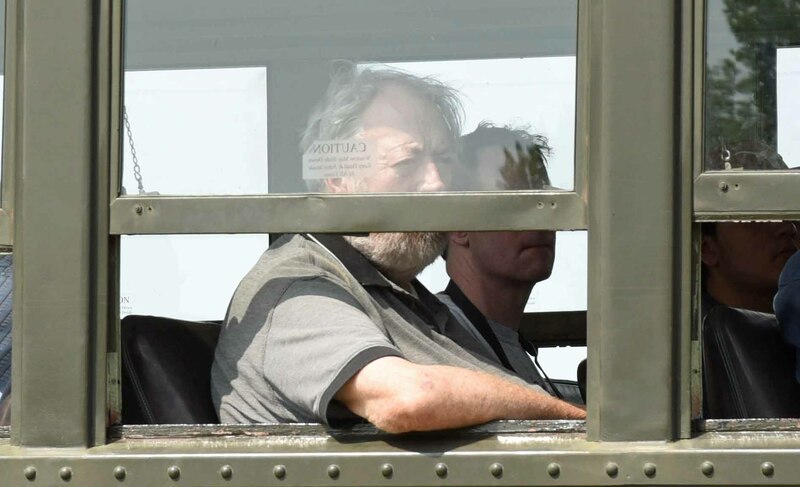 It’s the way I’d like to remember John, gazing out of the open window coach. Later on, we visited for a few minutes. Brian took this image of the two of us. I treasure it today in my grief. So, John, I am going to miss you in so many ways. Thank you for all the images. Thank you for my friend Rich. Thank you for the stories you told. But most of all for being so much more. A friend in steam. A friend in railroading. A friend in railroad photography. A friend in railroad photographers. A friend.